Oops, there go my good intentions at updating the blog regularly, but I do have a good excuse. I’ve been cracking on with book two, or at least trying to (it’s going a lot slower than I would like), but I’m determined to seriously crank up my word count over the next week or two. I did have some lovely light relief this week when I attended the book launch of fellow Carina debut author, Amy Bird, in London. Amy read from her novel, Yours is Mine, a psychological thriller in which two women trade lives and it sounds an absolutely intriguing premise. I can’t wait to read this one. 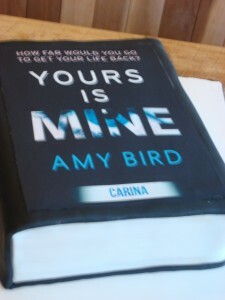 Yours is Mine was released yesterday and you can read more about it here. It was a lovely evening with a cake (how fabulous is that? ), Prosecco and book readings. Now that’s my kind of party! 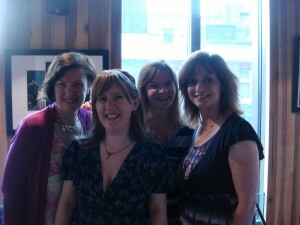 Nina Harrington, Amy Bird, Annie Lyons and me! It was also a wonderful opportunity to meet with some of the lovely Carina editors and fellow Carina authors, Nina Harrington and Annie Lyons. In other news, I’ve had a sneaky peak of my cover for ‘Desperately Seeking Heaven’ and it’s absolutely beautiful. I can’t wait to share it . 2 Comments on A Book Launch! Thanks, Ginny. The cover is so pretty, I’m so pleased with it. Yes, the book launch was fun and that cake was big, but gone in a matter of minutes! 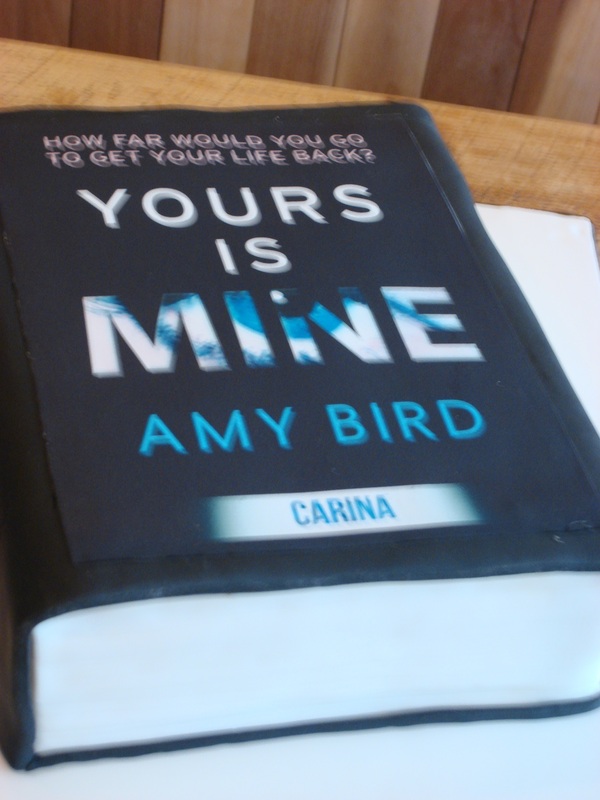 Perhaps I should have a cake for publication day, any excuse, eh?